This time last week I was watching my father's coffin being marched through an honour guard of old soldiers. He'd had dementia for around ten years and it eventually killed him. I've spent much of the last month travelling between his home and mine - hence the gap between posts. In his youth, my father was an adventurer and a traveller: fighting wars in Palestine and Korea and sailing the world in the Merchant Navy. He was happiest being on or near water. So this post is for dad - waterborne 'wrecks' he would have loved. As a teenager, he manhauled his uncle's Humber Keel boat along the River Ouse. The Humber Keels were basically barges with motors and sails built for river and estuary travel. 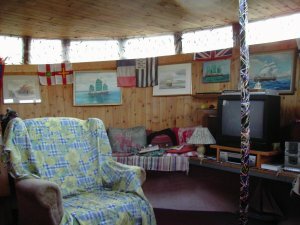 They're the chunkier, plainer cousins of canal boats - not so pretty on the outside but a bigger space to work with inside. 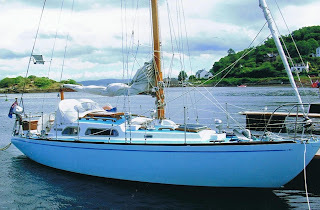 This link is to a Keel that has sold but the pictures will give you an idea of that extra space. Built in 1904, its current owners have lived onboard for 38 years and sailed it around the UK and European coasts. Now ill health and a £10k bill to replate the hull is forcing the sale. 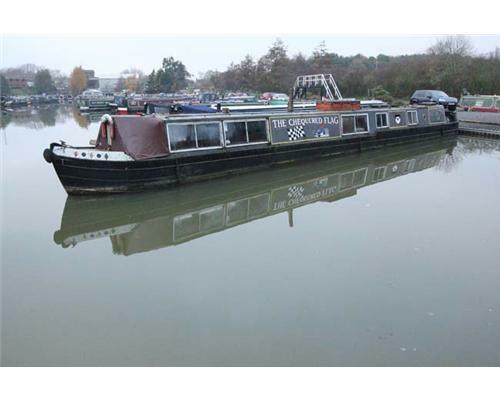 The John William has four bedrooms and is on the market at a bargain £17k. 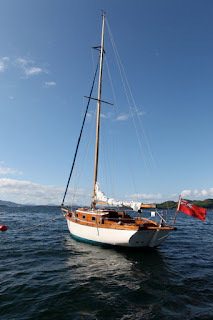 There's a conditon that £10k of the sale price goes to pay for the replating, and you'll need to spend another £8-£10k on top, but this a beautiful, cared for boat. Details and more pictures here. 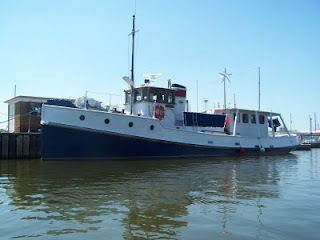 Pricier but still an absolute bargain for the quality is the three-bedroom, converted tug, below - the Addie. Lovely job done on it (definitely not a 'Wreck'!) and its owners have cruised the Baleraics in it (they're selling up to emigrate). 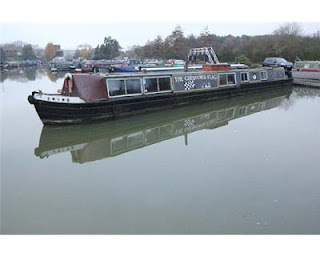 There are plenty of places to buy canal boats (Narrowboats) - apolloduck is good aggregator site, but most moorings have their own sales lists too. 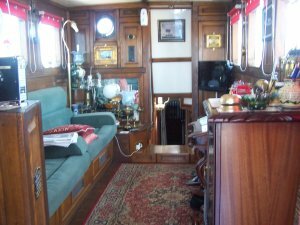 Narrowboats, like caravans, range from elderly wrecks to swish newbuild. Secondhand prices are around the £25k-£60k mark. Have a look at Nationwide Narrowboats' list or Whilton Marina's site. The latter has some nice looking narrow boats at under £20k - although smaller prices mean either shorter boats or ones needing work. Like the 70ft Chequered Flag, below, £11k to buy as seen. Details and pictures here. 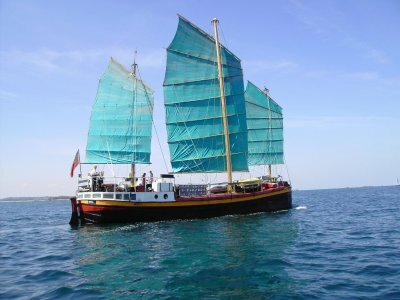 For anyone looking to sail off into the sunset, ﻿MJ Lewis has some beautiful sea-going yachts and cruisers for around the £30-£50k mark. Like this well cared for Bermudan Sloop, below, built in 1963 and sailed by one family since 1976. She's on the market at £33.5k. Details here. 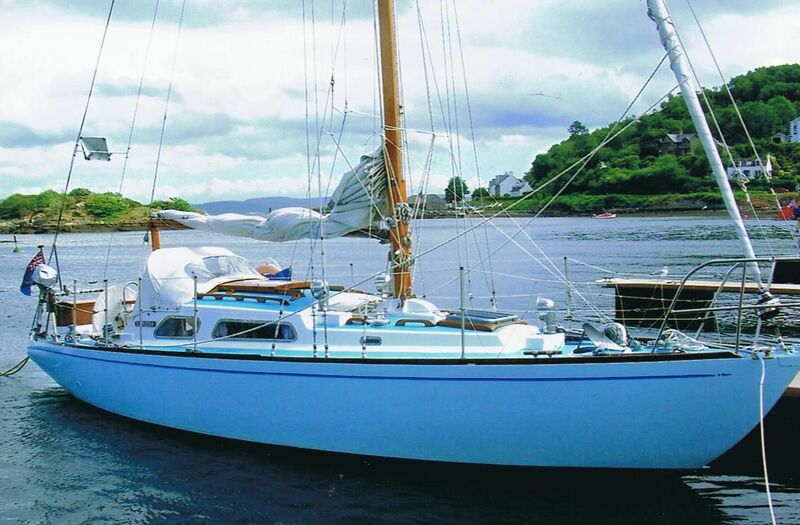 Finally woodenships.co.uk, in Dartmouth, is selling this graceful wooden Bermudan sloop, built in 1939, at a reduced price of £15k. Details here.